We sell Mothers Fragrances products like The Mother's Fragrances Frankincense Incense Sticks - 12 sticks online in the UK and directly from our award-winning store in Scotland. Milder fragrance, marbled pack. This product is Fairly traded and is Vegan. Mild and gentle, all hand made with natural ingredients and with excellent Fair Trade credentials. This incense is suitable for vegans. 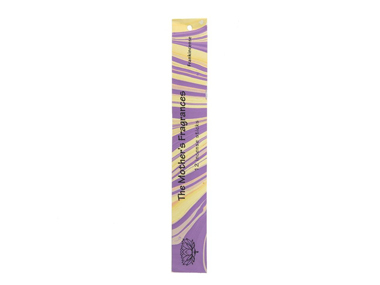 Mother's Fragrances incense sticks are handrolled from pure essential oils, floral perfumes and a delicate blend of scented flowers, leaves and wood powders. We sell real Mothers Fragrances and other Incense Sticks directly from our shop in Scotland and online throughout the UK. View more products from Mothers Fragrances. Where can you buy real Frankincense Incense Sticks safely online? If you are wondering where you can buy The Mother's Fragrances Frankincense Incense Sticks - 12 sticks safely online in the UK, then shop with us. We are an actual health foods shop; with real people selling real foods and products. Our award-winning independent shop is located in Stirling, Scotland since 1976. You can buy our Incense Sticks in store or safely place an order with us online or over the phone. Frankincense Incense Sticks - The Mother's Fragrances Frankincense Incense Sticks - 12 sticks in Incense Sticks and Aromatherapy.